This time of year usually brings families together, what with Thanksgiving and Christmas just around the corner. I took it upon myself to have a family reunion since the summer had finally relented its sweltering days to cooler and more enjoyable ones. According to Wiki, it says “a family reunion is an occasion when members of an extended family get together. ‘Typical’ family reunions consist of grandparents, great grandparents assembling for a meal, some recreation and discussions.” I find this definition hilarious! First of all, who has a ‘typical’ family? No one does! That’s why the saying goes: you can pick your friends, not your family. It’s true, you can disown, disinherit, and dislike them, but it doesn’t change the branches or lack thereof, on your family tree. I’m lucky, my family and extended are pretty darn awesome, each bringing something different to the mix, which makes it fun. I found some very interesting ‘games’ you can play with people you are related to, but don’t know that well, creating some very awkward moments that will most definitely discussed after the reunion and for years to come. My personal favorite is historic skits. It says: “re-enactments that highlight pivotal points in a family’s history. Participants are introduced to the art of developing a timeline as well as period research with a focus on costume design, customs, dialogue and social, economical and technological developments.” REALLY!? I want to know what family reunions consist of this craziness. First of all, some families don’t live in the same town, county, or even state, like most of mine. We are strung out in Tennessee, Oklahoma, Colorado, New York and Louisiana, therefore we don’t see each other all that often and the thought of re-enacting some historical event would probably not stray too far from what actually took place: drink some adult beverages, eat some BBQ and visit with aunts, uncles and cousins we haven’t seen in years, which is exactly what we did. I have some friends that have yearly reunions and while I love my family, with Facebook one can catch up fairly fast and a yearly event isn’t always necessary. We had our first reunion October 15th, the first one we’ve had in a very long time. Not everyone could make it, after all we are growing up and have busy lives, work, kids etc, so it makes it difficult to have one and everyone be able to make it. I’m so glad we had one though. Both of my mother’s brothers came with part of their families and my mother’s sister’s only son came. Many cousins and kids I hadn’t even met yet were there and it was so nice and had a wonderful day. My fiancé met some of my cousins and bonded with them over a friendly game of poker and some late night story telling. There were many stories told over the weekend, some we had heard before and some will never be told again! All in all, I’d say it was a success! We got caught up on each other’s lives, work and kids. We ate fantastic food and had a truly great weekend. I would encourage everyone to have a reunion, make a phone call, or go for a visit. It’s nice to reconnect with people that share your history, related or not! Have a Happy Thanksgiving! 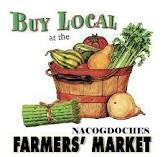 NACOGDOCHES- Cantaloupe and Eggplants for the first time this year! Be sure to stop by the Farmer’s Market and stock up on a variety of fresh produce. 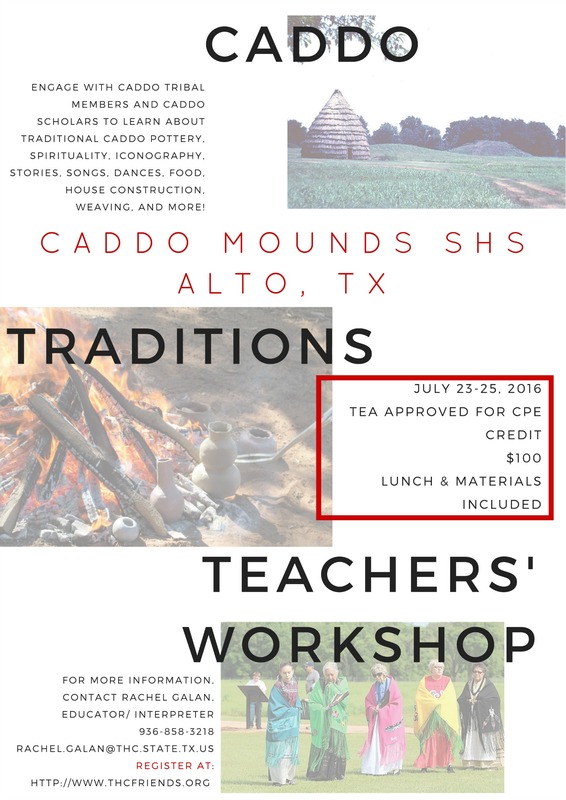 Alto, Texas- Caddo Mounds State Historic Site (SHS) is offering a Caddo traditions-themed workshop on July 23-25, 2016. The Caddo Mounds SHS is an approved continuing professional educational (CPE) provider for the Texas Education Agency. The intended audience for this workshop is Texas Social Studies, Language Arts, and Fine Arts K-12 teachers. 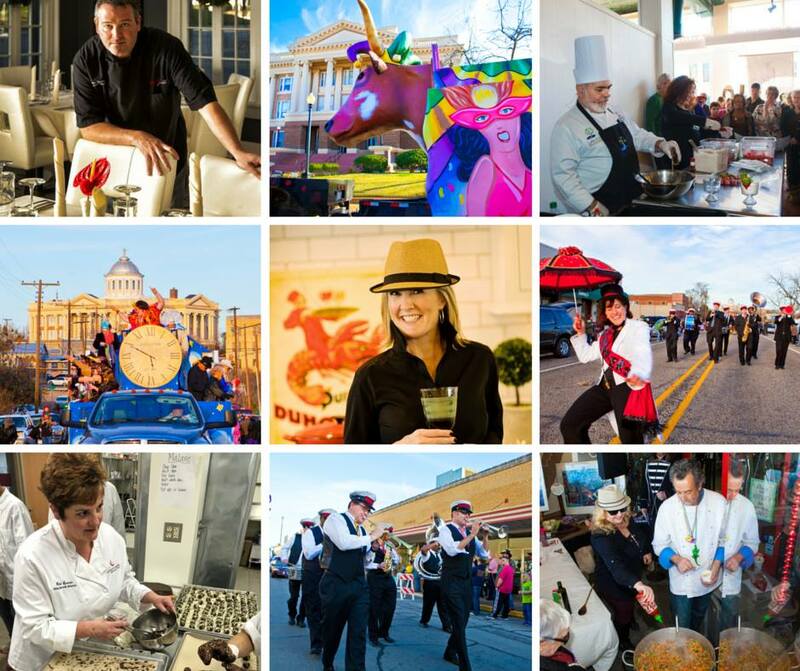 Palestine, Texas- The sound of jazz and the tastes of New Orleans return to the Main Street District of Palestine, Texas on Saturday, January 30th, 2016 from 11 a.m. – 4 p.m. during A Taste of New Orleans.